There are three bedrooms available. 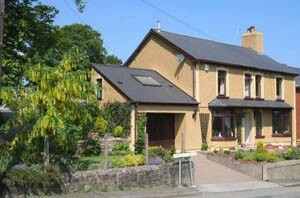 A twin bedded room with en suite shower room, a double with en suite shower room and a family room for up to four people with private bathroom used solely by those guests occupying the room. 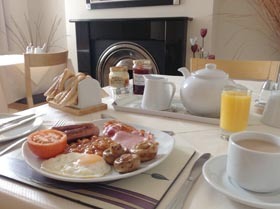 Breakfast is served in the guests’ own dining room and there is a separate lounge for the sole use of guests. Free WiFi access is available throughout. Enjoy complimentary tea or coffee on arrival in the guest’s lounge then make yourself at home and relax in comfort. 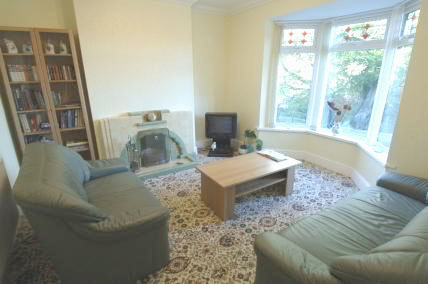 There are two leather sofas for seating up to 5 adults, a colour TV and plenty of books to borrow during the stay. There are also several board games for children and adults to enjoy ranging from Build-A-Bug to Connect4 3D. The book cabinet has a selection of local history books, cycling and walking books, murder mystery books and many other genres. Breakfast is usually served between 7:00am and 9:00am in the dining room. 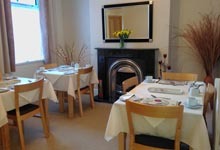 The dining room can be left open during the day for guests wanting to bring take-aways, or other food, back to the B&B. Breakfast is cooked to order and guests are asked for their requirements on arrival. All breakfasts include orange/pineapple juice, a selection of cereals, yoghurts, tea/coffee and toast with homemade jams, marmalades and honey from our own bees. Eggs may also be supplied from our own chickens, when available. Full breakfast consists of 2 sausages, 2 bacon rashers, baked beans, fried egg, mushrooms & tomato. Vegetarian breakfasts consist of 2 hash browns, 2 vegetarian sausages, baked beans, fried egg, mushrooms & tomato. Lighter options such as scrambled eggs, omelettes or continental breakfast, including croissants or brioche, are available on request. If there are any special dietary requirements, e.g. gluten free, then please let us know at time of booking.